The easy thing to do after the last two postseasons has been to blame the front office. Hell, that seems to be the modus operandi whenever a team doesn’t win a title. But that time is over. This front office has done its job. Even before acquiring Yu Darvish yesterday, Andrew Friedman, Farhan Zaidi, Josh Byrnes, Alex Anthopoulos, et al, had assembled the best team in baseball, on pace to be the best team (record-wise) since 2001 and perhaps the best and most talented team in Dodgers’ history. Adding Darvish to an already stacked roster is just the icing on the proverbial cake. With all the pieces in place, everything is there for the Dodgers to reach the summit for the first time in almost 30 years. If the Dodgers don’t have a successful postseason — whichever way you choose to define that — then it’s on the players, not upper management. 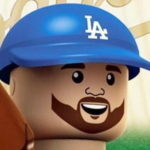 Being the good shills we are here at Dodgers Digest, you knew this article was coming. Yet despite this, folks still blamed the front office. “Why didn’t we get Cole Hamels? Why didn’t we get David Price? Why didn’t we get Ryan Braun? Why didn’t we get Andrew Miller?” And so on. To do that, the Dodgers would have had to empty the farm. The asking price for Hamels was two of Joc Pederson, Corey Seager and Julio Urias (and other pieces). Unlike the Rangers having to come down from their price on Darvish, the Phillies didn’t, and they got a nice haul for Hamels a year later. The Phillies had the right idea, as all three of the players they wanted from the Dodgers were key contributors to the 2016 club. Two of the three have been keys to the 2017 team, and you can’t hold Urias’ shoulder injury against him because (aside from TINSTAAP) that’s something that couldn’t have been predicted and wasn’t known at the time. The Tigers’ asking price for … Price… in 2015 wasn’t clear, but the Blue Jays gave up a substantial package headed by then-Top 20 prospect Daniel Norris. The Brewers, reportedly, wanted Cody Bellinger in a Braun deal that was already set to include Yasiel Puig, Brandon McCarthy and Jose De Leon before both deadlines last year, and the Clevelands gave up Clint Frazier and Justus Sheffield — both Top 100 prospects (more specifically, Frazier was a Top 30 guy and Sheffield a Top 75 guy) — and two others. The cost to acquire those guys at those times was simply astronomical and the Dodgers definitely wouldn’t be what they are today had they simply paid up. But the front office have put “it” on the table as of late. They gave up a consensus Top 75 guy (who would be rated higher if he was even a fringe-average defender) and two lottery tickets for the best starting pitcher available this deadline this year. And people conveniently forget they traded for the same type of guy last year in Rich Hill, who was also the best starting pitcher available. The Dodgers have traded top prospects in the recent past, and so far, they’ve traded the right ones for significant MLB upgrades at the right times. Yes, the playoffs are a crapshoot. There’s no surefire formula for getting through your respective league and/or winning the World Series, but the Dodgers’ front office has done all it can do within the scope of its overall plan. And no, they weren’t going to pay the exorbitant asking price for a better lefty reliever in Zach Britton or Brad Hand, and nobody else thought the price was reasonable either. The plan for this team is to be World Series contenders every year, just like the Braves were in the 1990s through the early 2000s. You don’t do that by trading all your high-impact prospects for immediate upgrades. There isn’t enough scouting and pool money to make up for gutting a farm system every year. Simply put, the Dodgers are in the best position to get to the end of October than they have been in the last decade. It’s up to the guys on the field — Dave Roberts, his coaching staff and the players. If there’s another October disappointment, look no further than those guys. The best thing, IMO, is to just win it all and avoid this question all together. And the way things have gone this season, they have the best chance of any team to do so.